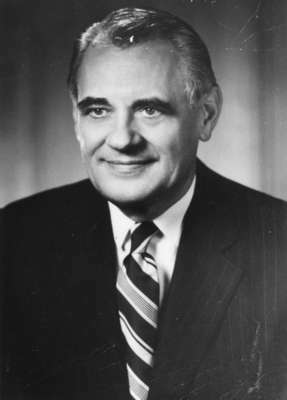 Born Michael Starchewsky on November 14, 1910 in in Copper Cliff, Ontario, he was an alderman for the City of Oshawa from 1944 to 1949. From 1949 to 1952, he was the mayor of Oshawa. He was first elected to the House of Commons in 1952 and was re-elected six times until defeated in 1968. In 1983, an Ontario government building was named in Starr's honour--The Michael J. Starr building at 33 King St W in Oshawa. He died March 16, 2000.